Plumbing Contractor, Wilmington, NC | Benjamin Franklin Plumbing Inc. Plumbing Contractor, Wilmington, NC | Benjamin Franklin Plumbing Inc.
No plumbing task in Wilmington is too large or small for our plumbing contractors to handle. Finding a plumbing contractor in Wilmington, North Carolina who is trustworthy, reliable, and punctual is no easy task. However, if you turn to us at Benjamin Franklin Plumbing Inc. – Leland, finding a plumber who embodies all of these qualities is a cinch! You’ll be more than happy with the way we show up to your home or business on time, the level of customer service we provide, and the way we fix your plumbing system quickly. We assure you that no plumbing task in Wilmington is too large or small for our plumbing contractors to handle. Whether your bathroom sink won’t stop leaking or you’re experiencing a serious backup that’s putting your business’ operations on hold, we’re the ones for the job. Thanks to our highly certified, experienced technicians, we’ll be able to fix up your plumbing system in hardly any time at all. Along the way, please don’t hesitate to ask us questions or inquire how things are going with the repair. We want you to feel informed and are always happy to provide whatever information you’re in need of. As your plumbing contractors, we promise we’ll do whatever it takes to establish you as a lifelong customer. 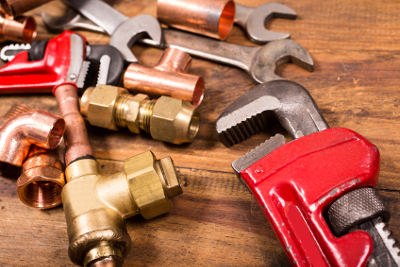 To find out more about the plumbing services we offer and why you should team up with us, get in touch with us at Benjamin Franklin Plumbing Inc. – Leland today. We can’t wait to hear from you!